Dignified Repose..: MCC - The first impression. MCC - The first impression. College and course have been chosen for a PG. M.A Communication at MCC it is. Let’s start with what I already know for sure. The campus. Beautiful is an understatement. There’s this one particular road that I took a fancy to right from the first day I’d gone there for admissions. Just behind the main block or the administrative building or examination center (or whatever it is, I am yet to figure), past the canteen, on one side are these set of really tall, picturesque trees with pinkish white bell-shaped flowers on them and around them. Walk through them at some time past 4 in evening when the sunlight but graciously dances between them and for one fleeting moment, you will be lost in its beauty. I assure you, this is just the beginning. I personally think our H.O.D’s amazing. Ramya ma’am. She’s got one hell of a voice to catch the attention of everyone. Then there is Benz sir. I somehow have a feeling he sees deep into you when his careless eyes but rest on you for a few seconds. There are these moments when he knowingly say the wrong fact just to initiate argument and initiation among the students and silently, with observant eyes, he would look at each student, smile a measured smile and then resort to bringing about peace in the classroom. There’s someone I don’t particularly like yet. Methinks the person has no idea what he/she is doing. Seniors decide to celebrate birthdays of Benz sir and H.O.D the next day and invite us. They surprise the teachers and they’re made to cut the cake. The usual singing and clapping and all. And then, like one carefree lot, there is a lot of running and chasing around and happy screaming and all us first years remain rooted to our spots, mouths a little open in surprise as we see teachers and students run around alike to either smear cake on someone’s face or escape from a similar attack from someone else. After they tire down, they pose together for pictures and make fun of each other and all this during class hours after which our H.O.D asks us all to take a quick break and get back to our respective classes. We gather in front of the department the following day and Benz sir takes us to the theatre for a movie screening. A THEATRE! 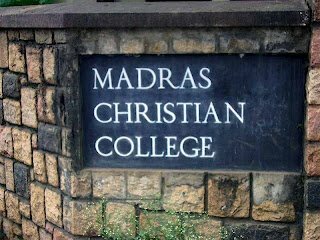 Now, how many colleges other in Chennai exactly do we know of that has/have a full-fledged movie theatre for academic purposes, and with properly functioning air-conditioners also? We watch ‘Peaceful warrior’, have a small discussion session later. It’s 4:30 and we get to go on a break and assemble later. Seriously, a 4-hour college with a 30 minutes break! Though I should probably add that when the last hour it’s Benz sir, it almost goes without question that you’re in campus till 6:30 is what I hear. No, I am not going to be honest or anything to talk about classmates here. The ceremonial adding up of each other on facebook shall happen soon, methinks. There’s a lush green sight to behold everywhere. Boys and lots of them! Sometimes, it does slip my mind that I am no longer a UG student and that a lot of those boys could be much younger to me. This knowledge shall take time to get used to and shall remain a little scary also. I am getting old. You wouldn’t have to use your mobile phone in secret or worry about how long you talk/hang out with a person of the opposite gender. There’s barely any network on campus, which I kinda think is good. We tend to forget about the phones after a while and get to talking to the people around us. The temperature’s at least a few degrees lower than what is outside and if you are lucky, you get to see beautiful insects, birds and at times deer walking/hustling/flying past you. MCC is definitely the Arts Colleges’ answer to them sprawling IITs and the campus is nothing short of being poetic. Let’s hope I make some good friends and brilliant memories here. Siddharth and Karun and Berty and everyone else who gave a thumbs up for joining this beautiful place, thank you! Most Coolest College ever.. Literally!! Good dat u have observed so much in a short time.. make the best use of it! 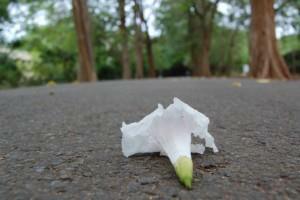 Its nature in abundance ta MCC, especially during the rains! A Bliss to watch rains from Evening Canteen (Not to forget a cup of hot tea-oish liquid and bajjis in hands while seeing this) and warm classrooms during such times.. and dark paths after 630 ( sometimes discussions go on till 645 before we realise and leave)! Never Miss MCC.. Never!! !